In this comprehensive course, Gunnar will walk you through the steps of creating a series that highlights your comedic voice. He will also ensure your pilot is suitably structured for network and streaming broadcast. Multi-camera shows are not written the same as single-camera shows. Gunnar is one of the few writing coaches in Hollywood who can explain the difference and help guide you in both formats. New writers and experienced writers will benefit from Gunnar’s vast knowledge of TV comedy. You do not need an idea or a pitch to take the class. Conversely, if you have an idea you want to get onto the page, Gunnar will help you develop it to professional industry standards. My Safe & Easy Writing Class covers the basics of writing like scene structure, story, relationship development and how to create general humor and laugh out loud funny jokes. Gunnar has a deep knowledge of the history of television comedy. He understands exactly why sitcoms work and when they don’t, he can articulate why they don’t. You’ll also learn about core family dynamics, how to use status to create conflict and how dysfunction enables sitcoms to function. Most ideas have value. Not all ideas lend themselves to series TV. Gunnar knows the difference. He’ll teach you clearly how to design a show without first-time writer mistakes. You will receive sample scripts for formatting examples in My Safe & Easy Writing Class. ACS has access to all of the comedy pilots that are developed each year. Gunnar has written many himself and has read hundreds. 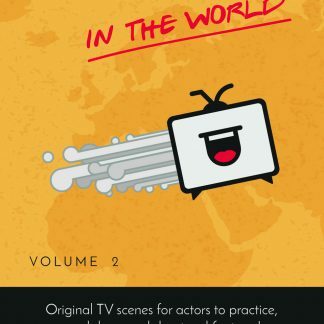 He is the author of The Funniest Scenes in the World, Volume 1, and The Funniest Scenes in the World, Volume 2 – original TV scenes for actors to practice, workshop and shoot reel footage! His books are part of the Sitcom curriculum he created for the American Academy of Dramatic Arts. He is the Head Writer for both seasons of MiniComs™, shot live in front of a studio audience. The Laughter is Real! He’s also a Contributing Expert to Backstage Magazine and coaches writers privately. A laptop computer with Final Draft writing software installed is encouraged, although not required. You will be writing in class as well as outside of class! Familiarity with Final Draft is also not required. It’s easy enough to learn as we go, but it is worth noting that Final Draft is the industry standard script writing software. Other script formatting software options are Celtx, Fade In, etc. Sample scripts will be provided for reference. No. This class is for writers, actors or anyone. 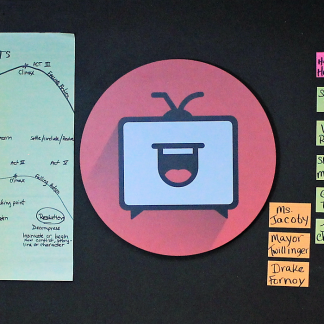 New writers will learn the right way to design a show. Experienced writers will also benefit from Gunnar’s lifetime of writing, producing, performing, teaching and directing comedy. There are no make ups but Gunnar will audio record the class on request if you can’t make it. Private appointments are available with Gunnar at an additional cost if needed. Yes! Our program is built to accommodate writers learning from scratch and experienced writers who want our specialized training in television comedy. For Acting for Sitcoms 1, you can register online and pay for the course using a credit card or debit card. You can also register and pay in person with credit card, debit card, cash, or check. How often does My Safe & Easy Writing Class meet? Once a week for eight consecutive weeks.